After breakfast enjoys a small cruise through the lake. Later at 0900 Hrs, boat arrives at Alleppey finishing point jetty. On arrival check out from houseboat and we drive through the surface to Periyar (Thekkady) 140 km/ 4 hrs. Thekkady is the place of famous Periyar Wild Life Sanctuary and which offers green forests, grass lands and various species of wild animals. On arrival at Thekkady, check into Hotel. Afternoon go for Wild life boating in the sanctuary , you may get chance to see wild animals coming out to the lake to drink water from the periyar lake , You can also explore various activities like Elephant safari, spice plantation tour, bamboo rafting , trekking etc in the periyar wild life sanctuary , Evening you can experience kerala ayurveda massage or martial art/ Kathakali etc. overnight at periyar. The day is reserved for full sightseeing. Visit the Kodaikanal Lake, spread over an area of 60 acres and surrounded by wooded slopes. The attractive walk around the lake takes between one and a half hours. Enjoy boating or fishing. Then move for a visit to Cocker's Walk, Golf Links, Green Valley View, Pillar Rocks, Silver Cascade Falls, and Bear Shola Falls. That night stay at Kodaikanal. After breakfast we take you for visiting the breathtaking attractions of Munnar - covering - Mattupetty Lake & Dam, Echo Point, Kundale Lake, Blossom Garden, Rajamalai, Eravikulam Wildlife sanctuary & Tea Plantation. 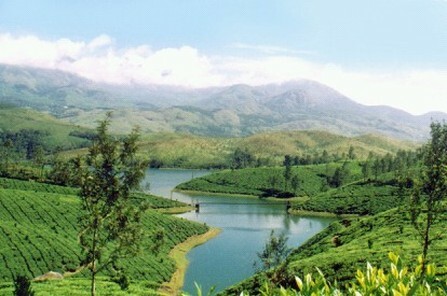 You will be back to the hotel with the ever shining memories of Munnar. Overnight stay is in Hotel. After breakfast we take you for a full day sightseeing trip of Munnar covering - Mattupetty Lake & Dam, Echo Point, Kundale Lake, Blossom Garden, Rajamalai, Eravikulam Wildlife sanctuary & Tea Plantation.Night stay in Hotel. Anything Not Mentioned in Tour Cost Includes.